Thanks to everyone for the Birthday wishes! Beside work and some really short weekends, what was going on on the hobby-side? Well, the weekend before this the photokina was in Cologne (a large photography fair). 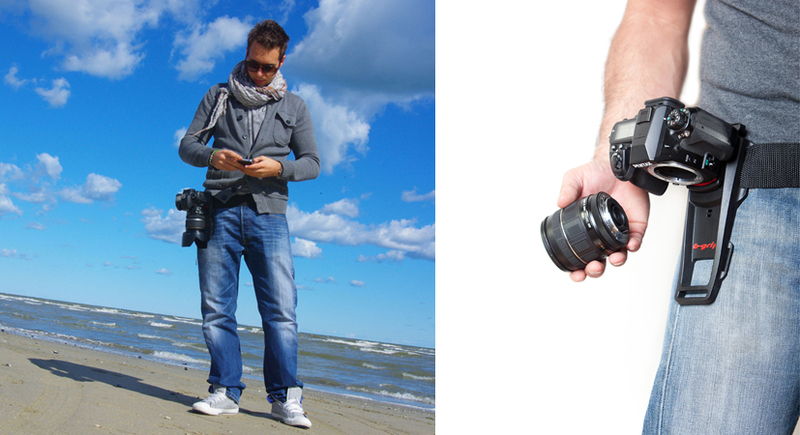 As i am now "armed" with a nice starter DSLR, i was looking for some additional accessoires, which i found. 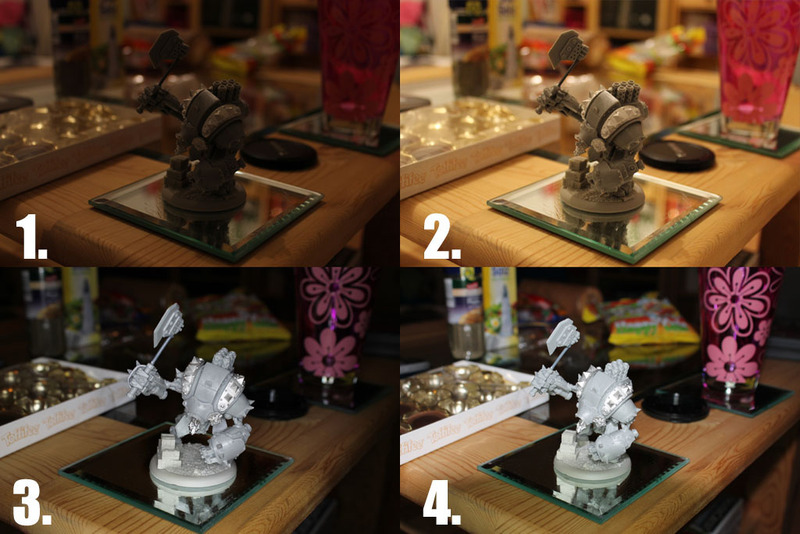 How has this something to do with miniatures? Well, somehow we have to get some pictures online - that is for sure and some of this things will be usefull for others as well. First there was B-Grip, an italian company, having a nice marketing special, where you could trade in your neckstrap agains on of their belt holder. As i was already looking for something to replace my rather cheap neckstrap (the one canon packs into the box with the 1100D is not even stitched, just printed), i took this deal with great joy! After all, this belt holder including the quick release plate is awesome for miniature shows and fairs. Hands free and still quick access to the cam and all i had to do was to trade in my neckstrap. Motived by this deal, i was looking for a flash adapter ring for my camera. As they are normaly rather expensive (150 euro and way more), i was looking for a special fair offer. I found something at Kaisers, that would cost 99 euro and was 25% off. After some use of my magic jedi skills (you want to sell it for less) i could buy it for 67 euro. 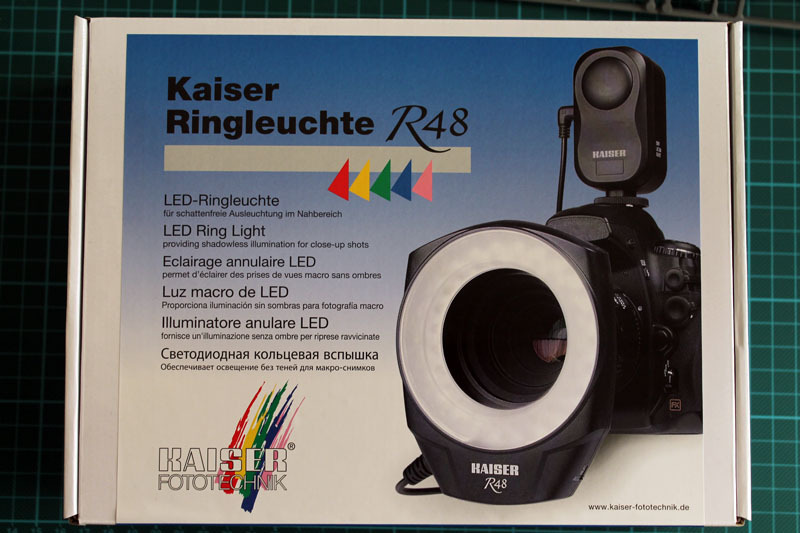 Its not a ring flash, more of an LED adapter for the lense, but works greats. So what is it good for? It gives you close range light, which is great for macro photography. For example have these 4 test shots. 2. Still no flash, but high iso and a wide opened lense. In combination with the lights i already have, i can achive a smoother more surrounding light with less shadows. But lets return to the pure wargaming stuff. I was thinking about the dust tactics / warfare buildings for some time now and got myself a little treat. I really like the buildings, they are modular and quick to build. Unfortunately they are single sided and have only cardboard floors. But as a basic for further modifications they are quite nice. The little guy in the ground floor is a space marine for scale purpose! And what was this weekend? Well, once again it was time for the great BitBox, hosted by the great guys from Freebooters Fate, Franz and Werner. The bitbox is tabletop fleamarket with a family athmosphere. You can buy and sell, and find some real treasures. I used the chance to let some of my Space Marines and overhead necromunda stuff go, along with some older empire stuff that was still around. The remaining things will go into the marketplaces and ebay. So let's see what it is in detail. 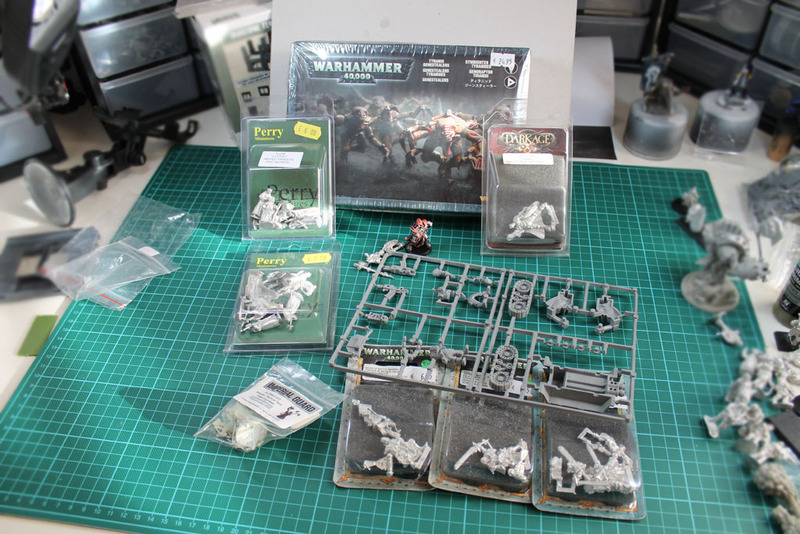 I got myself for incredibly little money the box of 8 genestealers (only 7 Euro! ), a limited dark age blister with one grim sci-fi captain, two tech priests (one of them a nice forge world one), 2 blisters of perry miniatures (the nice guys to our left had 2 perry blisters and i thought myself, give it a look and it were the two blisters covering the clerics i was looking for for my spanish bolt action army - bazinga! 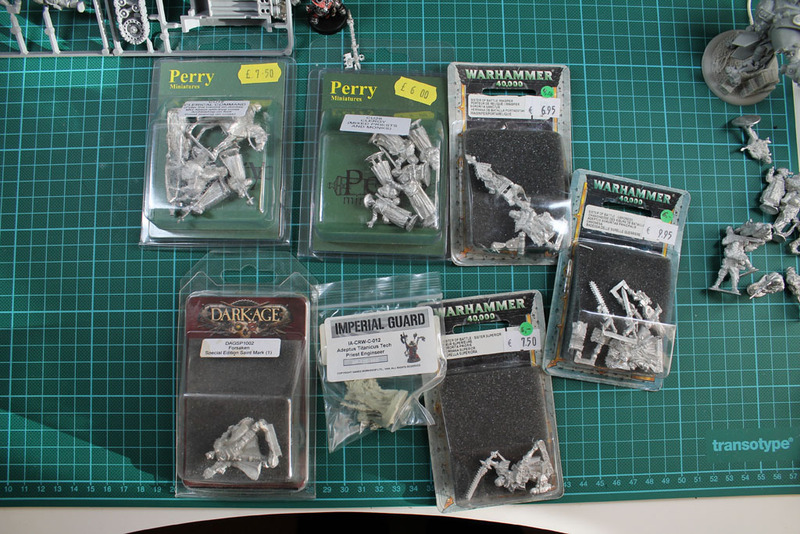 ), a sprue with an old ork vehicle for i-munda and 3 nice battle sisters heroes for so little money i couldn't say no. 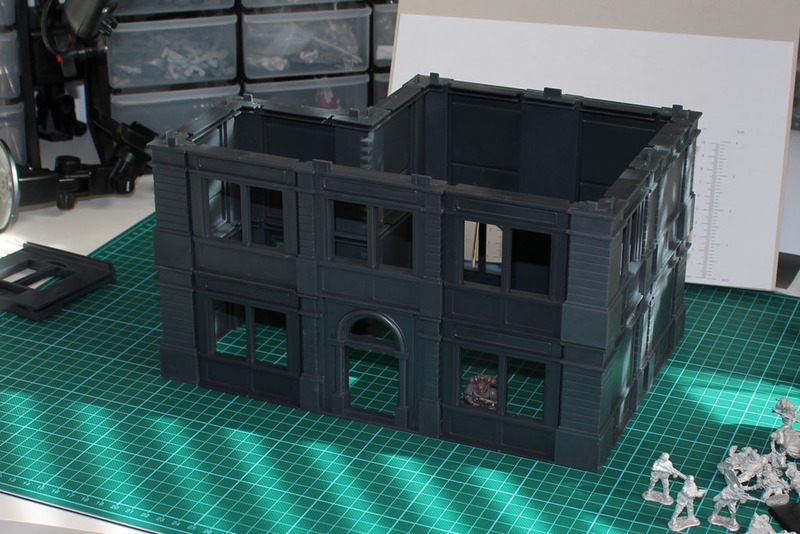 Mirco from Stronghold Terrain was clearing off his collection of old school warhammer fantasy and 40k blisters, but brought along his range of superb buildings. I used to chance and bought the stables, the guild house and tavern for my terrain collection. They are just gorgeos! I'll cover these along with a special item as a review in the upcoming weeks.